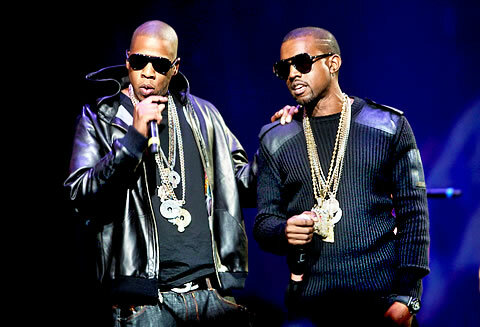 Kanye West and Jay-Z released Watch the Throne this week. The album is their first collaboration album. Kanye West and Jay-Z are the two biggest stars in all of hip-hop in the last decade not named Lil Wayne or Eminem. Both men have had number one albums and singles. Both men have had albums go platinum and gold. And both men have their own Grammy Awards. Other than Tha Carter IV, Watch the Throne is the most anticipated album of the year. Ever since “H.A.M.” dropped in January, making it the first single off the album, fans have been anxious to see what else the two music tycoons had up their sleeves. With the album out this week, the fans and the critics ran to hear every last track. Many questioned if the album would be full of Jay-Z and Kanye West trying to out-do one another and take the spotlight. In the end, the chemistry between the two was smooth and the two men worked together to make great tracks and not one up the other. In the first reviews by fans all around, the response to the album is fairly positive. Songs like “Murder to Excellence,” “Gotta Have It,” “Made in America,” and “New Day” are getting praise. As more and more people are soaking up the lyrics, more and more positive reviews are coming in.